Pruning the apple tree can have many benefits besides a better crop of apples. Great practice can be had by turning an apple tree branch into a number of file handles or log of apple wood into a mallet or a set of marine buoys to be used as maritime themed wedding reception table ornaments. You suddenly appreciate the difference between green and seasoned wood and the aesthetic result of leaving a little bark on the branches by not cutting too deep into the oval cross section. The wood grain takes on a wonderful 3-dimensional quality with an incredible variety of patterns observed from different aspects. Making ornaments from all sorts of wood is fun since the turning process perfectly highlights the grain. 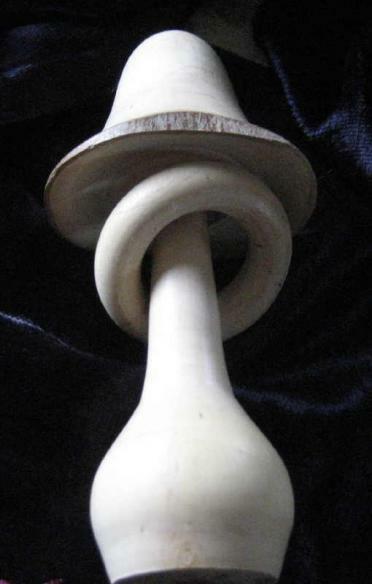 I remember being mesmerized in the soukes of Marrakesh by a young artisan creating a small spindle ornament on his foot powered lathe and forming a captive ring in the middle. It looked so simple. 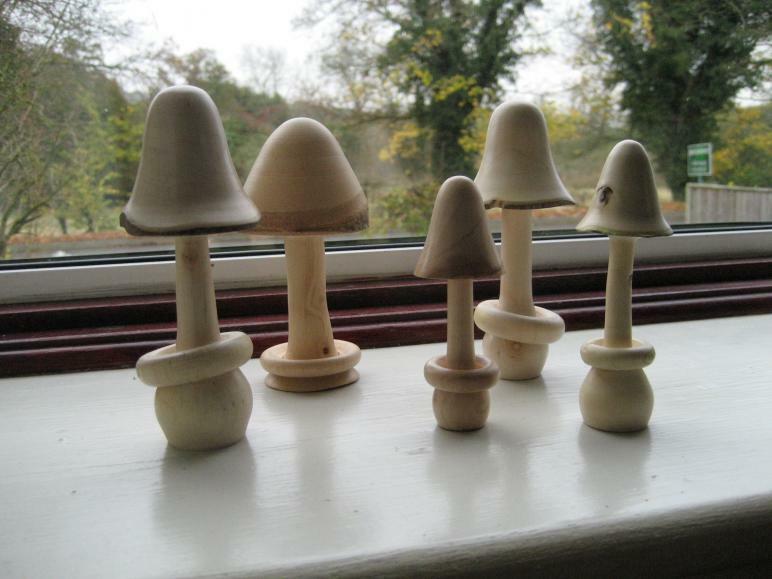 I have tried this with the traditional turned mushrooms and toadstools - another useful practical lesson. With only basic lathe tools I had to fabricate the tool needed to free the wood disc into a captive ring.